Co-Leader of the Alliance for Georgia Sozar Subari, who will be its candidate for head of Tbilisi City Council, stated on March 31 that he is ready to remove his candidacy and support another candidate on which the opposition agree if influential opposition parties then support Irakli Alasania’s candidacy for Tbilisi Mayor. “As the local elections are getting closer only making statements is no longer enough, concrete steps are needed. Therefore I am ready to renounce my own candidature and support another opposition candidate for City Council Chair. The Alliance for Georgia already has an obvious Mayoral candidate – Irakli Alasania – and therefore I believe it will be more just if a City Council Chairmanship candidate is appointed from another opposition group. This is required to achieve agreement and consequently victory,” Subari said. He added that Levan Gachechiladze’s participation in the election has great importance and if the opposition agree that he should be the common candidate for Tbilisi City Council Chair he will support the leader of Defend Georgia. However Gachechiladze has not commented on Subari’s suggestion. Prior to it he gave a long interview to Kavkasia TV in which he said that he will not support any of the opposition candidates for Tbilisi Mayor, including Irakli Alasania. "I have several reasons which make me hesitate to support Alasania. The first is his absence of a plan: we don't how Alasania is going to fight Saakashvili and his regime before and after winning the polls; secondly, Alasania does not have a clear development plan for the city in his campaign and thirdly if I support Alasania, I will have to be against Zviad Dzidziguri and Koba Davitashvili, who are my co-fighters,” Gachechiladze said. Different oppositional parties have already responded to Subari’s statement. 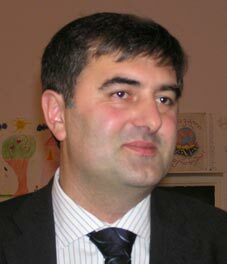 "This is a very generous gesture from Subari, but if it is a response to Gachechiladze’s possible involvement in the process I am doubtful about it, as Gachechiladze has already said that he is not going to support any opposition candidate for Mayor,” Mamuka Katsitadze from New Rights said. The National Council (Conservatives, People’s Party, Movement for Fair Georgia, Party of the Future, Christian Georgia and Patriot's Party) will not accept the offer. Co-Leader of the Conservative Party Kakha Kukava told The Messenger on April 1 that, "we have agreed to identify the common opposition candidate for Tbilisi Mayor through a public opinion poll. We are not going to start trading over this, politics is not trade. If someone says that Alasania is the highest rated candidate that person is biased. Just look at his campaign. Supporting Alasania undoubtedly means that Ugulava will be Mayor and we are not going to encourage this,” Kukava said. Analyst Giorgi Khutsishvili has said that the main reason Subari made this statement was to strengthening Alasania’s candidacy for Mayor. "It would be very difficult for the Alliance to get both Alasania elected Mayor and Subari elected as City Council Chair. To provide more support for the former Subari has decided to remove his candidacy. The Alliance will not say that their rating is not high, as part of their reason to exist is that Alasania is the most supported candidate. We are just exploring the ratings and I cannot say exactly whether Alasania is the most supported or not, but in my opinion he has the highest rating among the presently nominated candidates,” Khutsishvili told The Messenger.